Category 7 S/FTP is A1:B3 to ISO 11801 Class F (Category 7) requirements and is REACH and RoHS compliant. 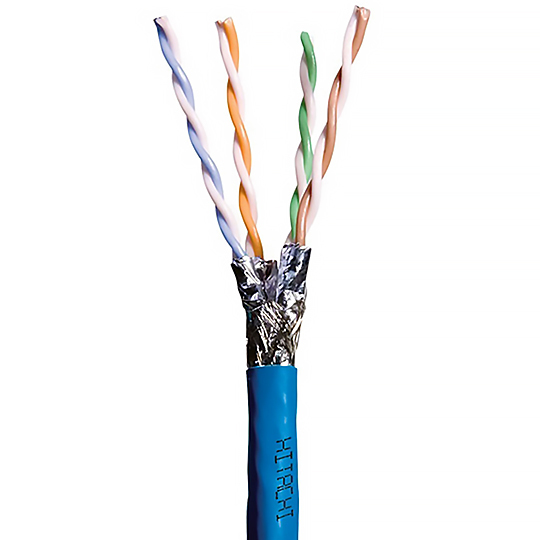 The conductor pairs are individually wrapped in foil with an overall braid. Tested to 600 MHz, the Category 7 S/FTP offers exceptional noise immunity. Category 7 S/FTP applications include 10-gigabit Ethernet, PoE+, HDBaseT and more. Made in USA.